Brexit talks are supposedly moving forward at last. But how good is the chance that the two chief negotiators will succeed? DW's Brussels correspondent Barbara Wesel has been looking at their body language to find out. So far, Brexit negoatiations have produced no appreciable results – at least according to Michel Barnier, the chief negotiator or the European Union. His British counterpart David Davis claims the opposite. And Theresa May also spoke of progress being made in her keynote speech on Brexit in Florence on Friday. So is somebody deliberately lying, or are these just negotiation tactics? May's Florence speech was certainly intended to bring fresh momentum to the talks, enabling the opposing parties to move swiftly on from the divorce arrangements to discussing their future relationship. The Europeans listened with amiable reserve as the British prime minister made her offer. Real progress must be made at the negotiating table, between Barnier and Davis. "There are a lot of charlatans around when it comes to interpreting body language," says Professor Alain Verbeke from the University of Leuven. It's not that easy to tell whether someone is lying or dissimulating, he says. However, if you examine the body language of the two chief negotiators in the Brexit talks, it is possible to see to what extent their body language accords with what they're saying. The Union Jack divides them but would they still go for a pint in the pub? Alain Verbeke is a lawyer and a specialist in how to conduct negotiations. What does he advise his students when he's training them to become professionals in this field? "Seventy-five to 90 percent of every message is conveyed by a person's demeanor, their body language and tone of voice. The rest is the spoken word. So it's about transparency and congruity." What's said must be reflected in physical expression. How are they doing, then, our two Brexit chief negotiators? They're both highly trained professionals, after all, playing their parts in public under extreme pressure. The photo of the round of talks in July, when the EU side came to the negotiating table with stacks of files and the British turned up empty-handed, was splashed all over the media. It was uniformly interpreted as a sign that Davis came from London without any concrete proposals. After all, Barnier had complained that the other side lacked any proper presentations and grasp of detail. Alain Verbeke thinks this interpretation is nonsense. "I don't have any files in my hand when I go into a negotiation, either. That way, I show that I've got the key points in my head and that I'm well prepared. The experts in my team are there to deal with individual points," he says. It could actually, therefore, be an indication of superiority if someone isn't clutching a pile of papers. Do Barnier and Davis really get on? They smile broadly, touch each other on the arm, put their hands on each other's shoulders, lean their heads in together – is it all just an act? Does this exaggerated display of affinity between men of a similar age, of different nationalities and with different tasks, conceal a genuine friendship? Or can they secretly not abide each other? Alain Verbeke's assessment: "These two do get on," he says. He pulls up a photo that shows Barnier and Davis standing outside the meeting room, and directs attention to their feet, which are relaxed, turned towards each other. "It's almost impossible to control your feet, because they're so far away from the head and the brain," says Verbeke. He explains that while it's possible, to a certain extent, to learn to control the eyes, the corner of the mouth and the hands, the feet often betray what a person is really feeling. His conclusion: Barnier has no hidden aversion to Davis. "His bearing is open and constructive, but he's also showing a certain amount of caution," says Verbeke, analyzing Barnier's demeanor. "What we're seeing here is a professional who's also expressing concern." 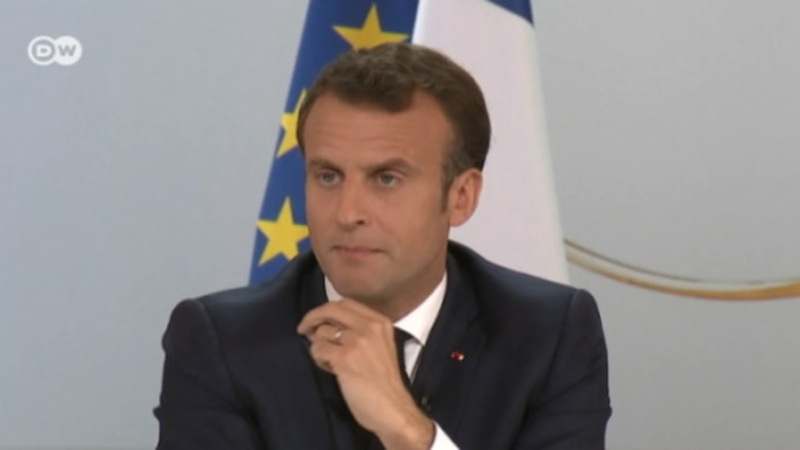 In his opinion, the Frenchman is more believable than his British counterpart, as the EU negotiator also shows nervousness on occasion. For example, during the last press conference before the summer break, Barnier complained that the talks had effectively ground to a halt. As he did so, his face was serious and his whole body was expressive of worry. "The expression matches the words," says Verbeke. It was only when a journalist questioned Barnier about his "frustration" with the sluggish talks that the Frenchman lost his composure. "I'm not frustrated, I'm impatient!" he said – yet his appearance is one of frustration personified. Even professionals sometimes get caught out. Why is David Davis so incredibly cheerful? Whenever he appears in Brussels, Davis smiles, beams and grins for Britain. "He's always presenting himself as a jolly good fellow, a really nice guy," is Verbeke's analysis of the British chief negotiator's manner. Behind this, he says, is a strategy to sell Brexit with the greatest possible degree of optimism: "'We will get a good result,' that's his message." According to Verbeke, Davis is playing a role, but he's doing it extraordinarily well, right down to the body language. In the first round of negotiations, he says, the British played strategically, along the lines of: Whoever blinks first loses. But ultimately, the negotiations expert comments, it's the party that needs something that gives in. And now that Prime Minister May has – in Florence – rescinded the infamous sentence "No deal is better than a bad deal," Davis might shift his position. British business became increasingly vocal over the summer in its demands to retain as much access as possible to the internal EU market after Brexit. Now, May wants to extend the negotiations by two years, to gain time and room for maneuver. The British Brexit minister had probably better rent himself an apartment in Brussels. In any case, his side blinked first. And which of the two does Alain Verbeke consider more trustworthy? "Michel Barnier comes across as more honest than David Davis." The latter, it seems, is too over the top in his role of the smiling Brexit optimist.